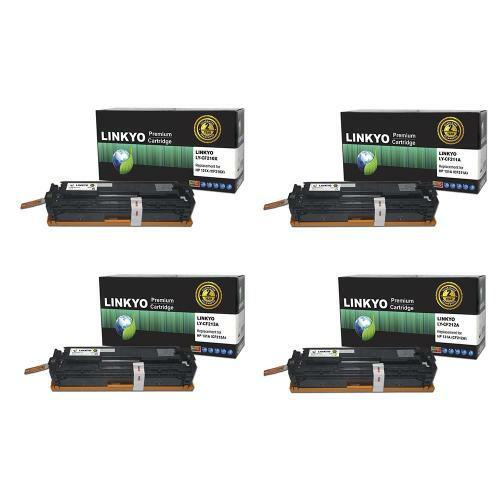 I just tried out Linkyo’s premium ink cartridge for HP laser printers. The ink quality is exceptional. The ink is very high quality and looks great on the paper. It yields about 1500 pages according to the company. I have found this to be very true. I obviously didn’t count the pages but it does last a good amount of time. It was very easy to use and install into the printer. The cartridge comes well packaged and protected as well. It works in HP laser printers: LaserJet Pro M125nw, M125rnw, M127fn, M127fw, M201dw, and M225dn. There is also a 2 year guarantee on this product. This set contains the three color cartridges and one black.